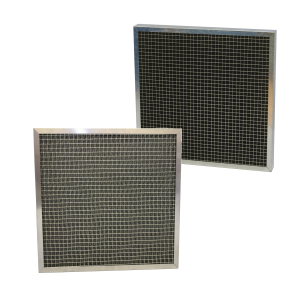 – Metal Framed Pleated Panel Filter available for high humidity applications. The Pleated Panel Air Filter is a medium efficiency disposable air filter, suitable for ventilation and air conditioning systems which require a higher efficiency and greater dust holding capacity than can be achieved with glass or synthetic panels. The G4 Pleated Panel Air Filter can be used where glass panels are undesirable, such as in the food industry and hospitals. Typically G4 Pleated Panel Air Filters are used as pre-filters on supply air systems to High Performance Bag Filters, or to protect heating or cooling coils from dust build up which leads to system inefficiency. Another common place to see a G4 Pleated Panel Air Filter is to protect fans in extract systems for office blocks or kitchen extract systems. Pleated Panel Filters consist of a dry non-woven fabric media which is pleated to give an extended surface area, producing a low initial resistance for the same air volume, making this an energy efficient filter. The pleat is supported by an expanded galvanised steel mesh. The pleated air filter media is contained within the air filter by a rigid all-cardboard casing, or a cardboard frame with recycled perforated cap-punch retaining grids. The filter is sealed together using hot melt adhesive glues to ensure a highly rigid and quality disposable panel air filter. The Pleated Panel Air Filter Media is available sealed into a galvanised steel metal frame for high humidity applications such as supply air from atmosphere where standard cardboard filters may lose their rigidity and fail. Airclean Moisture Resistant Panel Filters are for use in high humidity or moist environments. 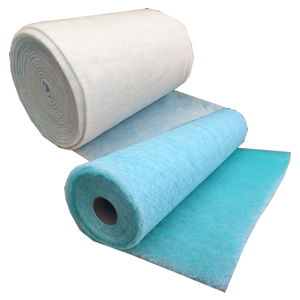 These premium filters still have a cardboard frame, but have a higher moisture resistance than our standard range, which help the filter maintain rigidity and functionality without structural failure. Airclean Moisture Resistant Panels are available in G2/3 Glass Fibre, G3 Synthetic and G4 Pleated Panel Filters. “AMR Panel Filters” are manufactured in the same way as our standard panel filters but utilise “Carrier / Beverage Board” which has an increased wet-strength. 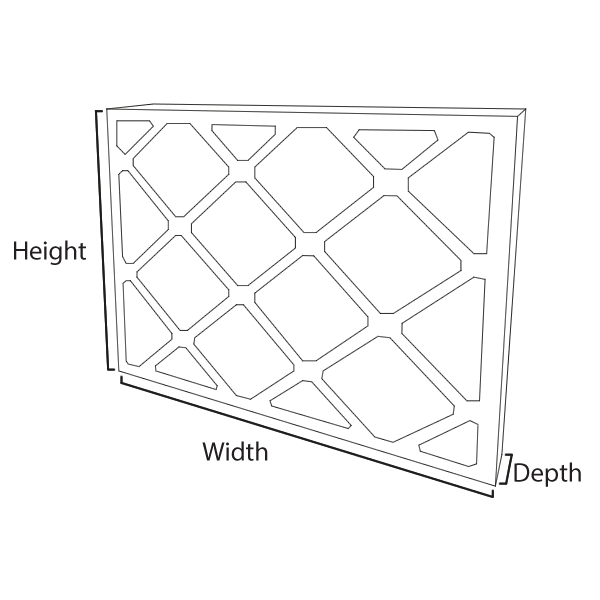 For high moisture or damp environments click here to read about our Metal Framed Pleated Panel Filters!